We're Celebrating the IO Winter Die release again today and I have a couple more holiday pojects for you. and glued it over some fun paper I made with my Gel Press. Be sure to leave a comment because I'm going to pick a winner from today's and yesterday's post for a $10.00 gift certificate. Gorgeous!! The Snowflake Frame is my favorite! Gorgeous cards -- some beautiful background paper and a simple striking diecut work so well together! Gorgeous cards with these beautiful snowflakes! They have such incredible detail in the die cuts! Love your pretty color combos! Lovely work, as always Vicki. I admire your talent. Great cards!! 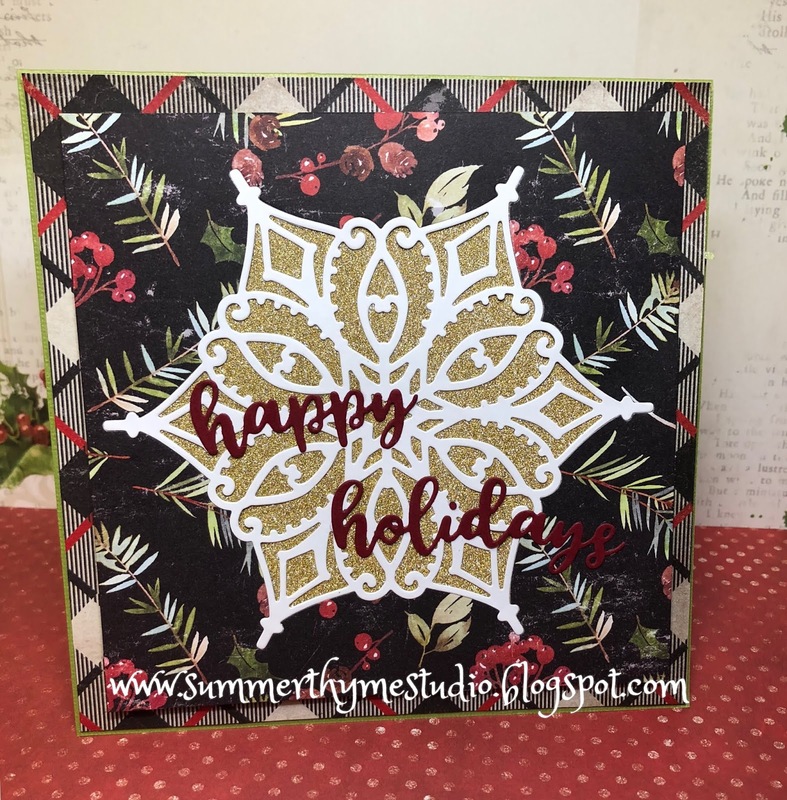 Love this pretty new snowflake die!! AWESOME cards! I especially love the second card! I really like how your paper background turned out after using the gel press! Love the paper you created for the background of the second card - it's stunning! Oh my goodness! So beautiful! I love the added gems! I love your creation, they are awesome! Pretty snowflake cards. I like the papers on the first one. Awesome snowflake cards! Great job on your background for the second one! Love them both! Those beautiful be snowflakes really pop against the gorgeous backgrounds. I need that snowflake die! very pretty love the turquoise one. Striking!! Oh what fun and festive cards! Beautiful designs and layering. Your blue background is the perfect wintry color and texture for the snowflake. Super card! 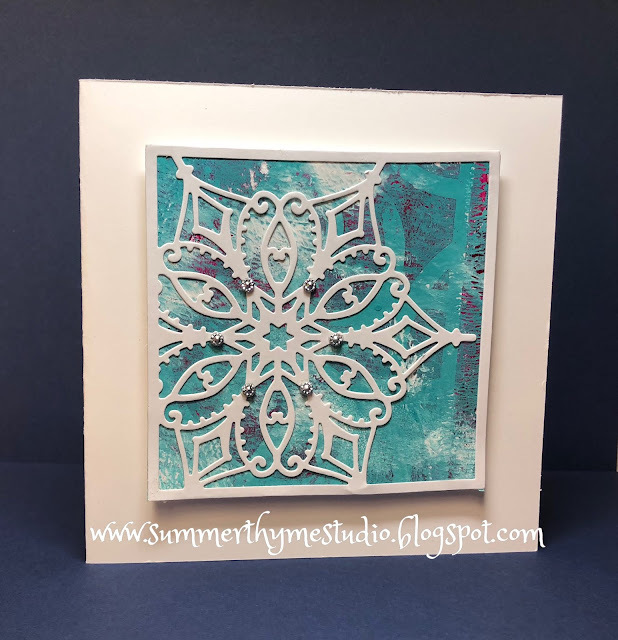 Love, love, love these new snowflake dies and what you did with them!!! I especially like how you backed it in the first card with the cork paper!